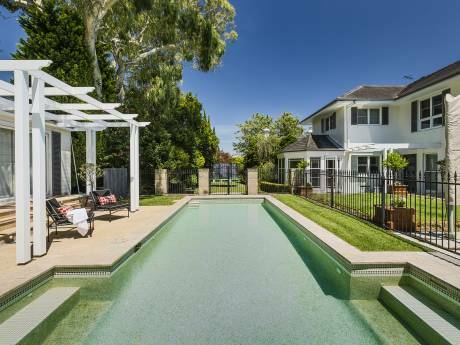 Luxurious modern home located in a harbor suburb 5 minutes drive to Sydney's major city and harbor attractions. 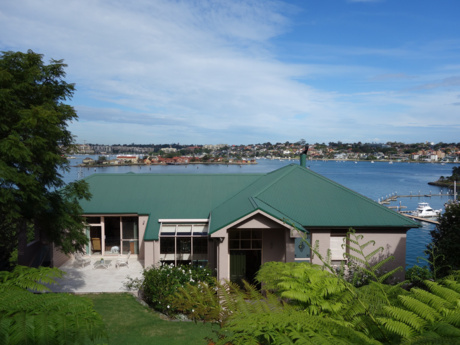 With 4 bedrooms, 5 bathrooms, multiple living areas, wide covered balconies and an indoor pool opening up to a resort-style deck with an Indonesian day bed on which to lounge and look out to views of the water and city. 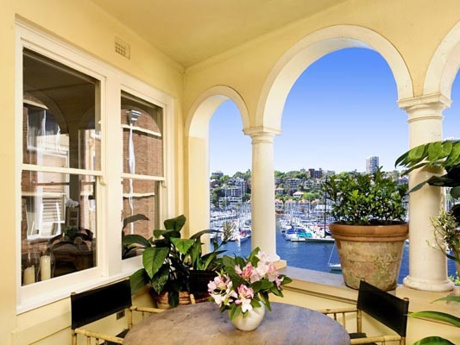 This home is located in a prestigious suburb just North of Sydney's famous Opera House and Harbor bridge. Access to the city is a short bus or taxi ride. Walk to local shops, cafes and restaurants, golf-course and club and harbor swimming pool. Launch a kayak from the harbor jetty nearby. This is a stylish home with fine but not precious furnishings. It is a large multi-level home set over 4 levels. It is most suited to several adults or couples with teenage or older children. There is a Master suite with King bed and large en-suite bathroom with twin vanities, shower and deep double bath. The second bedroom has a queen bed and en-suite bathroom. The 3rd bedroom has a queen bed and the 4th bedroom has a double sofa bed and these bedrooms share a bathroom with a bath and separate shower. There is a large living room with vaulted sky-lit ceilings, wrap-around lounge, baby-grand piano and a Cheminees Philippe open fireplace, that can be closed to become slow-combustion for cozy winter evenings.There are numerous options for dining from casual in the kitchen family room, more formal in the dining room, or barbecuing on the covered balcony or pool-side. The house has reverse cycle air-conditioning. We have cleaners who will attend on a weekly basis for a reasonable fee. We have a dog, a lassa- apso-poodle cross who was chosen in part because he has wool and does not shed. He can be cared for elsewhere if required. We love active holidays and have a double kayak which we take out on the harbor most Sundays and is available to use.